You have so got it going on, Flossie. 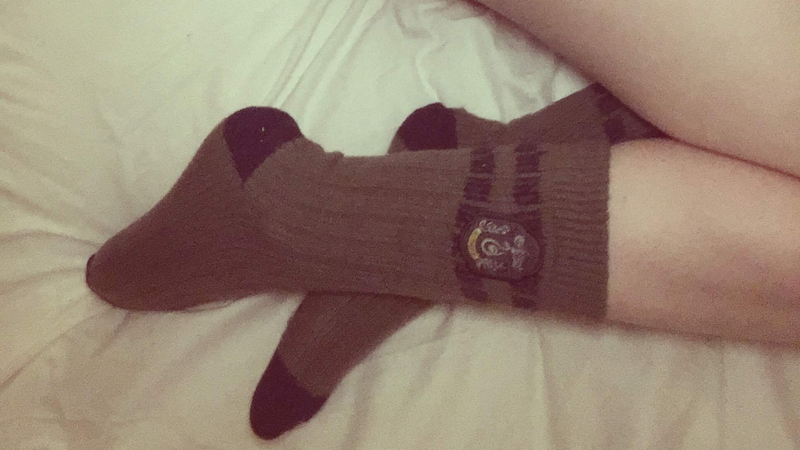 Of course Slythern Socks! I do the same to Michael, he is always warm no matter the weather and I am always cold. Love the socks, great image. Fluffy socks for the win at this time of year!